IT'S like something out of a movie. A decade ago, Strabane man Brendan Mullin was working as an usher at the Movie House on Belfast's Dublin Road: on Sunday, Mullin will be back at the Belfast picturehouse as producer and co-writer of one of the most acclaimed local films in recent years, Bad Day For The Cut. Having wowed audiences and critics at the prestigious Sundance Film Festival in February, this gritty, violent and darkly funny revenge thriller is the closing night selection at this year's Belfast Film Festival. 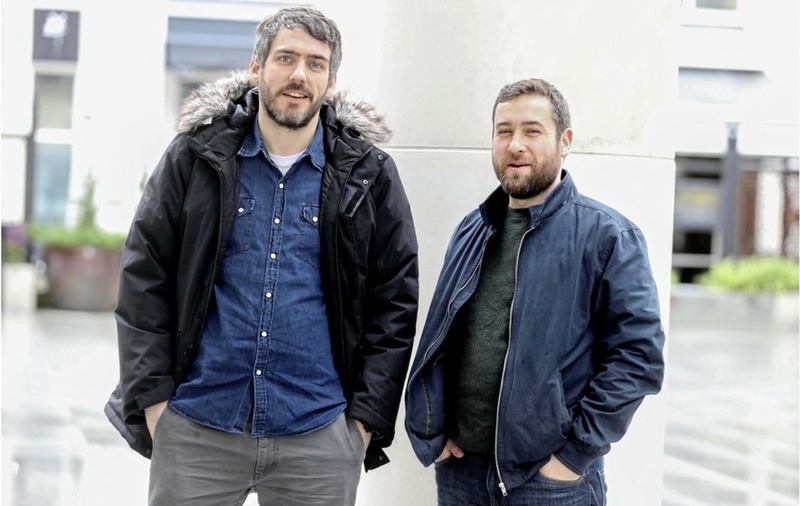 Now, Mullin and his Six Mile Hill Productions partner Chris Baugh (who directed and co wrote the pair's debut feature) are about to witness their locally shot low budget masterpiece playing to an Irish audience for the first time. 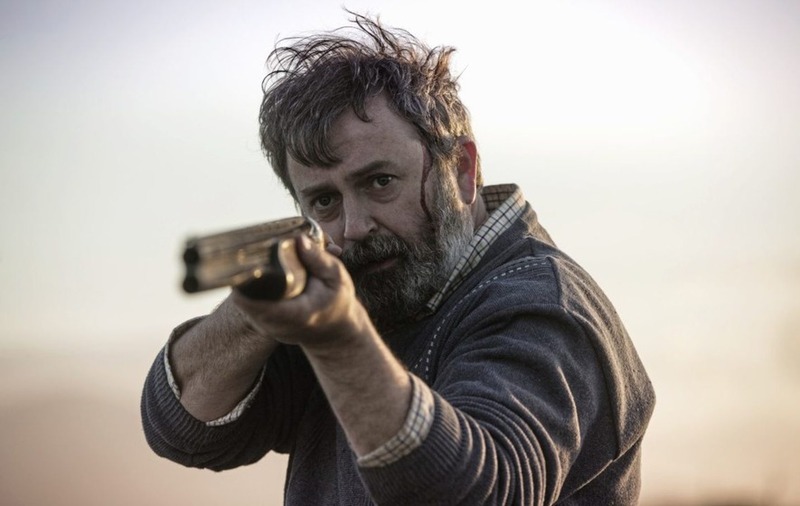 With a plot centred on a lonely Co Tyrone farmer, Donal (Cookstown actor Nigel O'Neill), who is forced to retaliate when Belfast-based criminals led by the amusingly unhinged Frankie (Newry's Susan Lynch, who is nominated for an Ifta Award for the role) invade his remote farmstead in a deadly fashion, the unpredictable film is shot-through with the kind of authentic local colour and colloquialisms which probably flew over the heads of most US viewers. However, that's been no barrier to Bad Day achieving a coveted '100 per cent fresh' certification at RottenTomatoes.com – plus, it was announced yesterday, the film is to be released in cinemas in North America later this year. As a result, Mullin and Baugh are more than "happy enough" (as Donal would put it). It means the film-makers have achieved exactly what they set out to do with their Northern Ireland Screen New Talent Focus-funded project. "It feels great, because our intention was to make a film that at once feels very specific to Tyrone, where we're from, but that could also play for a universal audience," enthuses Baugh, who hails from Eskra and studied film at the Surrey Institute of Arts and Design. "It's the 'Trojan horse' of genre," agrees Mullin, a Film Studies graduate at QUB with whom the director established Six Mile Hill Productions in 2012 with the intention of making "smart genre fare". "At the end of the day it's a revenge thriller with recognisable archetypes or whatever that American and international audiences can understand – they don't need to get all the Tyrone references that were part of the fun for us. "If it's a good movie with a good story, they should still be able to enjoy it. That was the challenge, so we're glad that people have responded." Undoubtedly, a major factor in the warm reception to Bad Day For The Cut – an agri-slang expression meaning 'unbecoming weather' which just happens to have a nice Bad Day At Black Rock-esque ring to it – is the tour de force lead performance from Nigel O'Neill. While the Cookstown man has a background in fringe theatre and film and can claim recent appearances in controversial TV mini-series The Secret and Game of Thrones for his CV, the 52-year-old is still probably one of the more unknown players among the Irish cast, which includes Stuart Graham, Stella McCusker, Ian McElhinney, Lalor Roddy and Ryan McParland. That could be set to change once the wider word gets a dose of his memorable turn as the deceptively docile Donal, a country boy who proves more than capable of taking on the big city crims who haven't bargained on his quick wit and resourceful manner. "We wrote this specifically for Nigel," explains Mullin, who reveals that their European premiere at the Belfast Film Festival will be all too appropriate. "We actually first saw him in a film called Behold The Lamb which was the closing night film at the 2011 Belfast Film Festival. "He gave a great performance in that film. We were looking for our co-lead for our short Boys From County Hell (a Co Tyrone-set vampire flick, look out for their proposed feature length re-make in the not so distant future) at the time, which we set up our company to make. "We thought Nigel would be perfect for that: he's very natural on screen, he's got a great presence and a very sympathetic 'look'." This was the first of three shorts the trio would make together: once Baugh and Mullin were ready to tackle their first feature, they only had one leading man in mind. "The character of Donal, and the film's story specifically, came from Nigel," reveals the director. "We really wanted to write a lead role for people to see him in because we thought he was that strong. "We just wanted to show the world how good he is, so it's really gratifying that, almost without exception, every review has mentioned Nigel's performance. They're like 'who is this guy?!'" "I think the fact that he came to acting relatively late adds to his 'mystery'," offers Mullin, who recognised that the trio's established working relationship would be a major asset for getting Six Mile Hill's first feature made successfully. "We weren't dependent on casting a well-known actor, we just wanted a really talented actor – and that's what Nigel is." Evocatively shot in multiple indoor and outdoor locations by Belfast-based cinematographer Ryan Kernaghan, another Six Mile Hill stalwart, Bad Day For The Cut is definitely an ambitious and auspicious debut feature, the culmination of Mullin and Baugh's 11 years as a film-making duo. "We decided, let's not do the usual first feature thing where you have one location and only three actors," explains the Eskra man. "We thought, let's 'go big' and try to do something that feels like it has a bigger scope than its budget would suggest. "Our mantra was 'We're crazy but not stupid': we knew exactly how we could do this even in terms of the writing, the actors we could get and the locations because of our experiences over the past 10 years. "We knew it was all achievable." "Having said that," adds Mullin, "if someone had told me five years ago that our first feature was going to have its world premiere at The Egyptian Theatre at Sundance, I think I would have laughed at them!" Bringing Bad Day For The Cut home to Belfast is another big moment for the Co Tyrone film-making pair, not least because one of them will have the added buzz of premiering his debut feature in the very cinema where he used to work while daydreaming about one day having a film of his own showing on the big screen. "We've had a number of short films playing at the Belfast Film Festival over the years, so to be offered the chance to actually close it out with Bad Day For The Cut is amazing," enthuses Mullin. "The fact that it's at Movie House is kind of like coming full circle for me. I'm still very close friends with a number of people I worked with there and it's kind of cool to be screening the film where I used to be out washing the quads [posters] and sweeping up popcorn." "I really cannot wait to see it with a local northern Irish audience to see how they respond," agrees Baugh. "It's going to be a very special night for us."